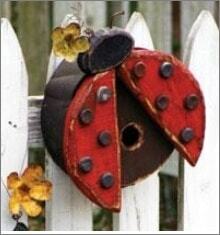 (1) Handmade Wooden Lady Bug Bird House ($49, currently not available), adorned with rustic and recycled accents. 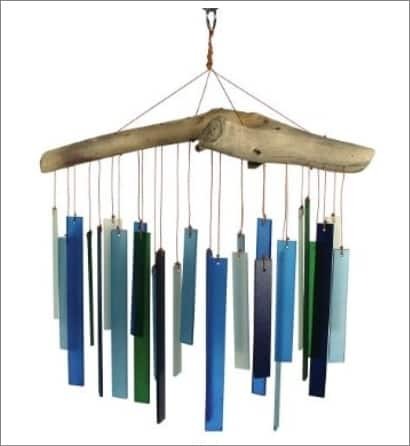 (2) This Driftwood Wind Chime ($24.99) with authentic seaglass looks like an expensive work of art. (3) This string of Lighted Fireflies In A Jar ($22.94, currently not available) may remind you of being a kid again. 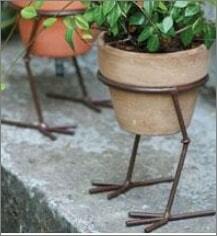 (4) Add character to your pots with this funky Bird Legs Pot Holder ($13). 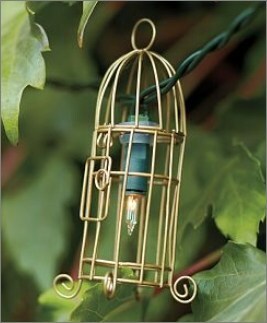 (5) Illuminate your yard with these twinkling Wire Birdcage String Lights ($39, currently not available). Thank you for dropping by The Mindful Shopper! I absolutely LOVE it when you stop by! I hope you enjoyed my post all about Outdoor Decor To Make You Smile! This site is really fantastic. It is so easy to navigate, and I really like the photo gallery. This will come in handy when I have to buy that “special” gift for someone. heya, fine page, and a very good understand! at least one for my favorites. fun ideas.. well laid out web site..